The history of the Western Cape Winelands region adds to its sense of serenity, with robust but aged buildings standing solidly against the backdrop of working wine estates, where only peace and patience can create some of the world’s finest wines. Over the years, many a bride- and groom-to-be have chosen the Western Cape as they place they’d most like to remember for life. Farms, nature reserves and miles of beaches have lent themselves to the most memorable day in a couple’s life, some from as far afield as Europe. In my view, nobody should reach the end of their lifetime without having visited South Africa’s “Fairest Cape”. With coastlines bordering both the Atlantic and the Indian Oceans and the inimitable Table Mountain guarding the great city of Cape Town, the region appears to have been made to be celebrated. With a population of around 450 000, the city itself is a bustle of cars, colour and culture; with a diversity that sings in its food and its beautiful people. Further inland, the Winelands takes on a different pace, with smaller populations but the same laid-back style the world comes to know the Cape for. As with all major centres in South Africa, the infrastructure is good, which means my team and I will ensure a bespoke, perfect-fit wedding that speaks to the personalities of the bride and groom, no matter what it takes to get your specific pieces to your venue. 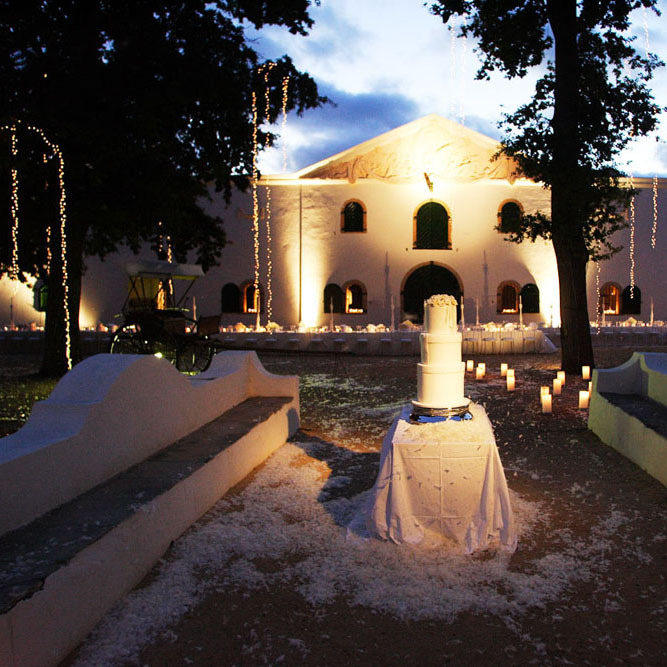 The design of your wedding may be a mix of your own homeland traditions and the solid, red-sand heartbeat of Africa. I have created weddings and other special events all over the world and have fallen in love with many places, from Paris to Vietnam and New York to Singapore. But as the creator of exclusive destination weddings, it would be remiss of me not to invite foreign clients to marry on the continent that gave birth to humankind!